Your studio 'DOCY DIAMS' You will be welcome warmly the heart of a calm and flowered residence. Its colors and charm will not leave you indifferent and you will enjoy unforgettable moments on the terrace overlooking the Caribbean Sea and the diamond rock. The fully fitted and furnished kitchen invite you to concoqueter your favorite dishes, and the room spacious living will surprise you. The bathroom is not left as it radiates its grandeur and walk-in shower. The flat screen TV, the Orange TV channels and wifi are perfect this little haven of peace and tranquility. I was on eight Caribbean islands ... this is the best place, very clean, safe, beautiful, smiling and friendly people. Le logement est idéalement situé, a 5 min de la plage et du marché. L'appartement est très fonctionnel et très agréable au coeur d'une résidence très calme avec une grande piscine.Parfait pour les familles avec enfants car le studio est grand. 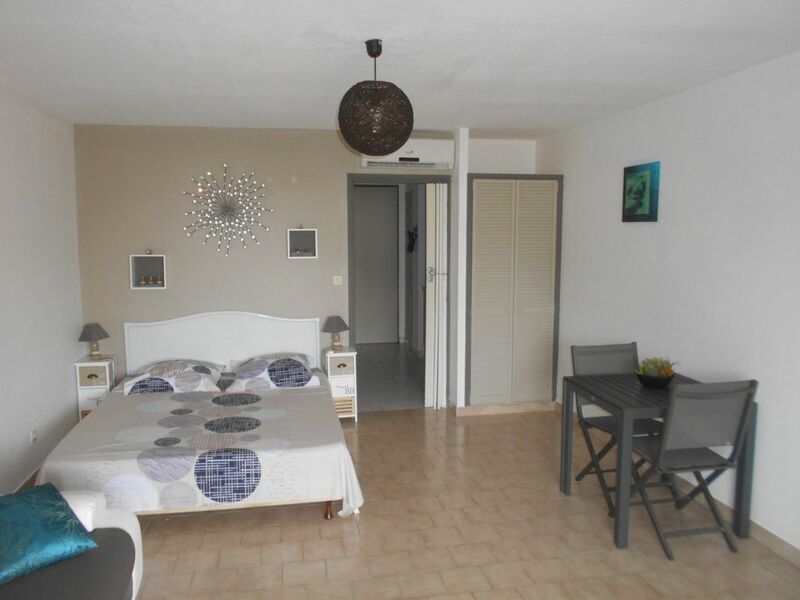 The DOCY DIAMS, your studio of 50 m ² is in a residence reassured, flowery and sported. You will appreciate the calm of the places and will benefit from peaceful moments on its terrace with sight on the sea of ​​the caribbean and the rock of the diamond. You can enjoy your delicious cocktails at the restaurant bar around the residence's private pool. Located about 600 m, the white sand beach of the diamond will amaze you with its charm and authenticity. In the village, near the beach, you will find, shops, amenities, fruit and vegetable market, bakeries / pastry shops, restaurants, pizzeria. Pharmacies, doctors, medical center are not left out. Very well thought, the studio the DOCY DIAMS, has a fully equipped kitchen, a large living room with a double bed 160X200, a sofa bed (sleeps 2), flat screen TV with orange bouquet, internet in WIFI, mini chain, living room table, and a terrace with teak table, and finally a large bathroom with walk-in shower. The DOCY DIAMS will welcome you warmly and will make your holidays pure moments of happiness and unforgettable memories. Outboard motor boat trips on the Caribbean coast are available on request, as well as vehicle rental, made available directly at the airport.